Not all readers of French Wedding Style are planning their wedding in France, some of you lovely readers are like me and simply love French style and are looking to include it into your wedding planning (or like me every day life!). 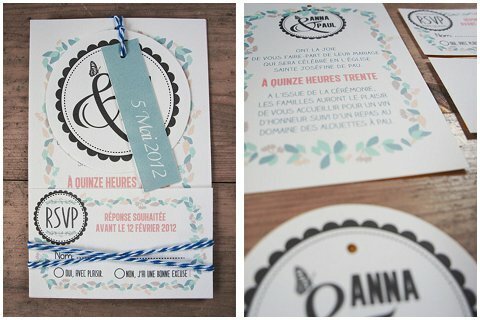 Today we are looking at French stationery design and trends with the help of the extremely talented Ruban Collectif. Bassed in Hossegor south west of France, Ruban Collectif’s mission is to support you in your moments of joy and family celebrations. Marriage, birth, birthday, baptism… Ruban Collectif offers a range of creative services to turn these events into exceptional memories. The overall look of Ruban Collectif is positioned in a natural and authentic vintage direction. The objective of Ruban collectif is to meet your expectations with an ability to listen and respect your budget. Each project will be fully customized and unique, image of who and what you are. 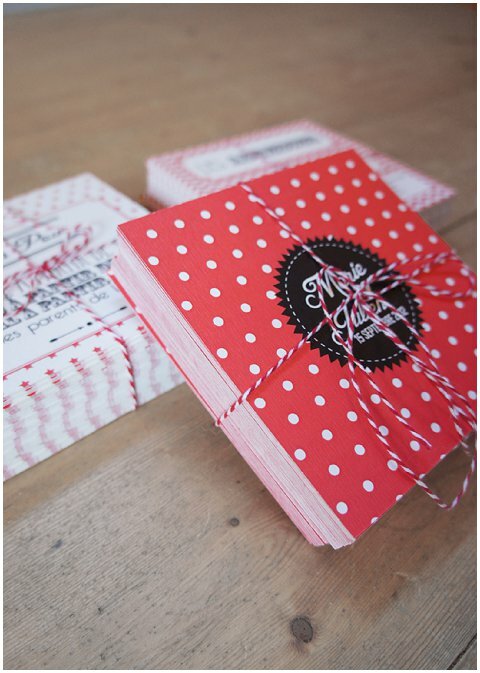 Lisa from Ruban Collectif shares her insights into stationery design trends and what is currently inspiring brides: “For 2 years brides have been asking for rustic themed stationery, usually represented by either the tree, french traditional pattern such as fabric from vichy, or dot and stripes for the retro feeling. The colour of the designs varies from couple to couple, with some looking for the more traditional schemes, keeping with a pale and neutral colour palette including pastel colours. 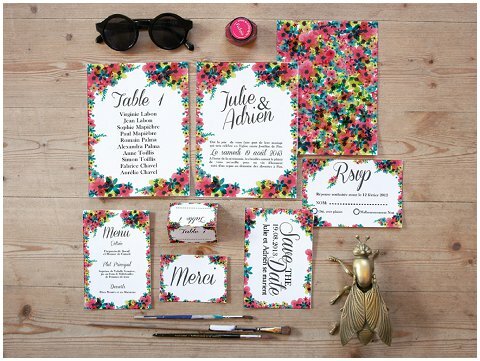 Then there are couples who are more extravagant and want the all rainbow in their wedding invites! But the majority of couples are not looking to make a statement but colours that compliment their theme and that will appeal to them and the rest of their guests. 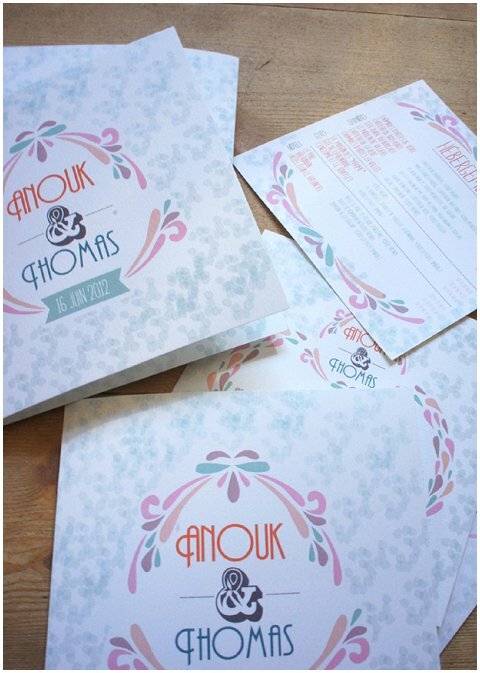 In termes of trends, flowers are still strong design element as are also patterns, whilst the simple and clean typographic invitation remains popular. Whilst we have seen an increase in ‘green and eco’ weddings with international clients, it is not a consideration that is at the forefront of many French brides design criteria. However like with many trends that start in US and UK it may well become a higher priority. 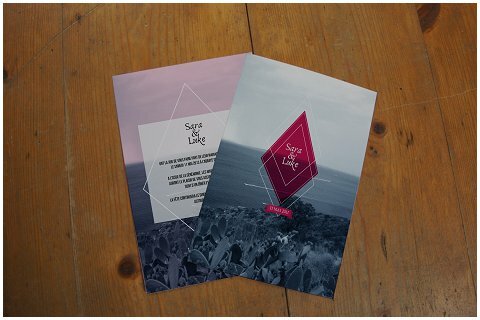 For more information on Ruban Collective visit their website where their team of graphic designers offers you a customized service where each client has its own unique creation. 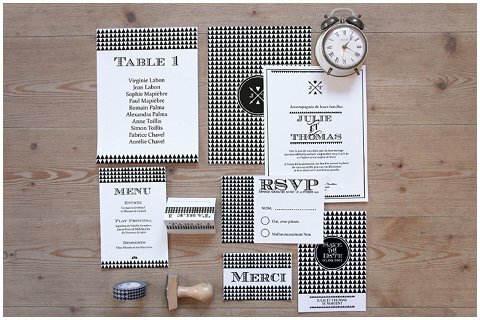 Are you planning your wedding stationery and what design elements have you been considering?